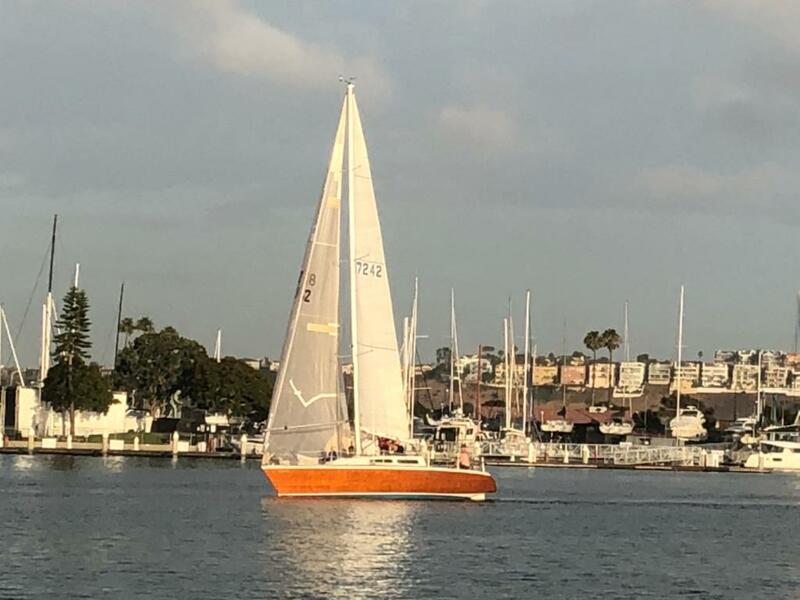 Tinderbox is currently in FIRST PLACE in the PHRF-C class of the California Yacht Club’s Wednesday Night Sunset Series 2018! This is the story of a hodgepodge crew on an old boat making good and literally coming out ahead! In 2015, Drew Curran (Broker and USCG 100-Ton Captain) found a well-known brand of racing sailboat on Craigslist that needed some work, but he saw the potential. He got his father, Steve Curran (Owner of California Yacht Company and Broker) on board and next thing you know they had acquired an almost abandoned 1983 Nelson Marek 36 constructed of mahogany. With some elbow grease, and some almost new sails, she was ready to go. They put together a very non-professional crew made up of people from all walks of life; all ages, all sexes and all skill levels were represented. They named the boat Tinderbox and entered her in the 2015 season where they found themselves in a very respectable 6th place in class! Because they had such a good time, Tinderbox and crew continued racing in the Sunset Series the following year, placing 4th in class overall in 2016, then 5th in class in 2017. In the current 2018 Sunset Series season, with 16 of 20 races completed, Tinderbox is currently in first place! For more on Tinderbox, click HERE to view a five-minute video. Performance Handicap Racing Fleet (PHRF) evolved during the 1960s as a system that allowed boats of various classes to go forward and compete when other boats in their class failed to show up for that day’s race. “Prior to PHRF, when only two or three boats in a class showed up for an event, they could not participate even though they had made plans, gathered their crew and were in the water prepared to approach the starting line,” says veteran Broker and USPHRF past president Jim Foyer. “PHRF was developed here in Marina del Rey, was adopted up in Seattle, and is now a nationwide system of sail racing handicaps”. 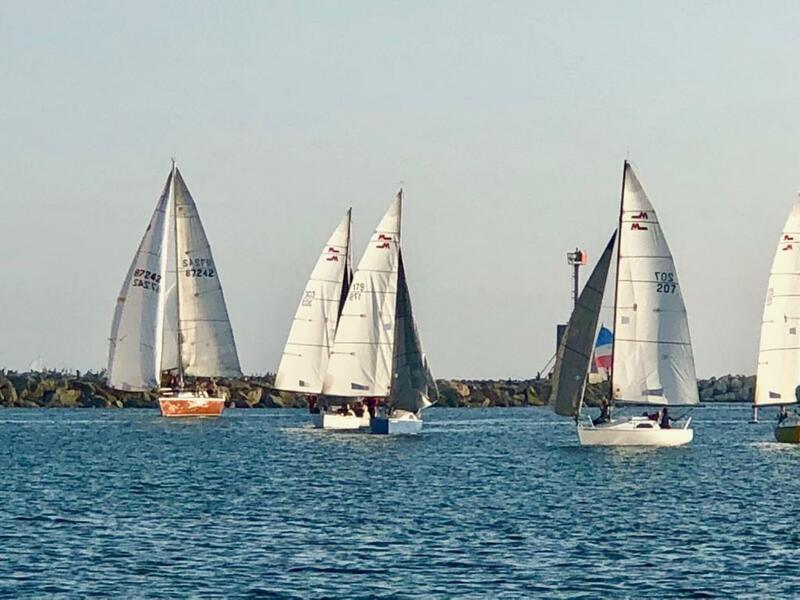 With roughly 90 boats each with 5-6 crew members, plus various California Yacht Club support staff, the Wednesday Night Sunset Series involves over 500 participants for each race. 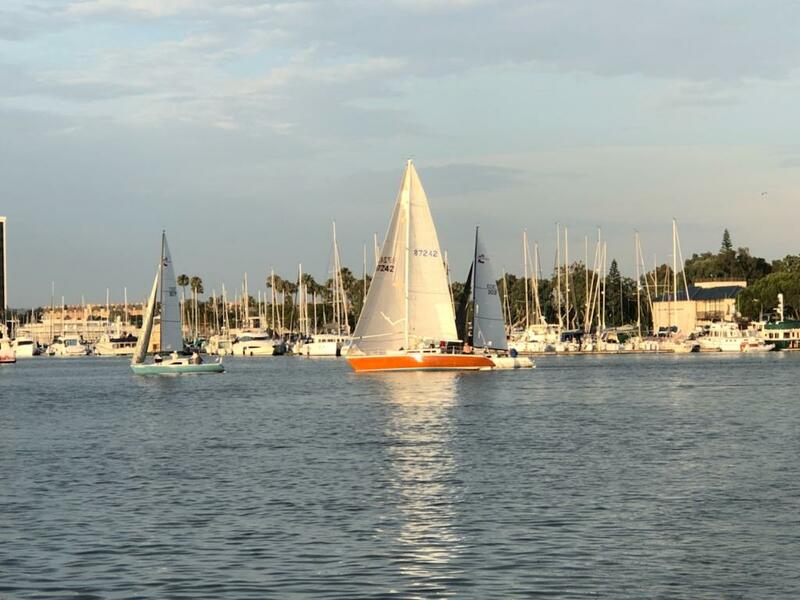 For more information on the Sunset Series, visit http://www.calyachtclub.com/regattas.